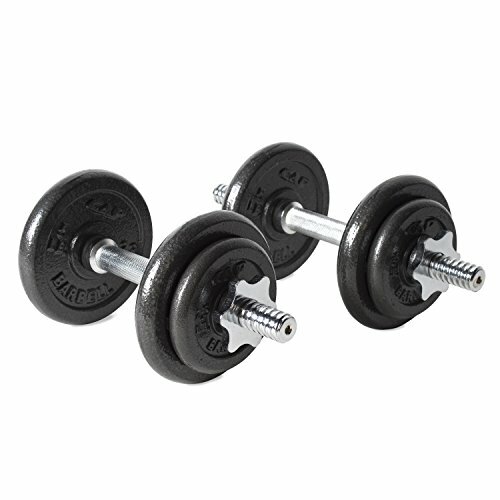 The One Pair of Adjustable Dumbbells Cast Iron set consists of a pair of brand new 105 pound total adjustable dumbbells, with each dumbbell capable of holding up to 52.5 pounds of adjustable weight. The set includes sixteen 5 pound weights, four 2.5 pound weights, four 1.25 pound weights, two handles, and two collars. The plates themselves are made of durable cast iron, and the handle is solid textured chrome. The weight can be adjusted for each dumbbell by increments of 2.5 pounds, allowing the user to easily adjust the weight to their preferred setting. The user simply uses the pin to choose the amount of weight they wish to use. This feature is perfect for both beginners and workout enthusiasts alike. Another added bonus of this dumbbell kit is that it’s quite small and compact, making it convenient for storage and a must have for anyone looking to add variety to their limited workout space. The set is also highly affordable, coming in at under $100. 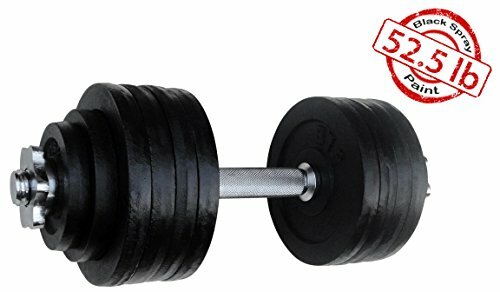 52.5 lbs Adjustable Cast Iron Dumbbell - ²DL2ZZ, Unipack Inc.